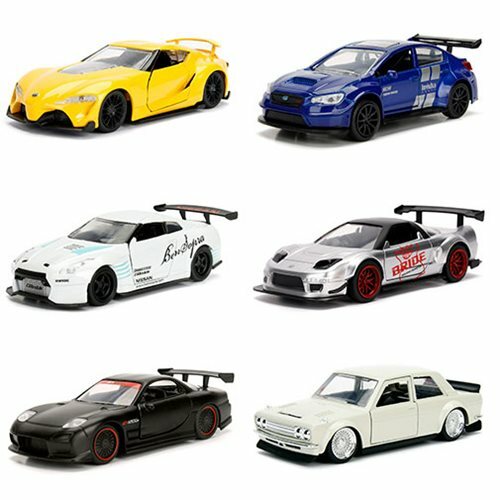 Bring the hottest JDM (Japanese Domestic Market) rides into your die-cast vehicles collection with these JDM Tuners 1:32 scale vehicles! Each vehicle comes packaged in clamshell packaging. Ages 8 and up.